Looking at that camera, there is quite a bit of snow showing this morning on the Lauberhorn! Not a nice morning, cool, damp and murky. Angela, think you are getting hooked with the snow , mountain thing. Like checking out mountain top web cams in the summer! I love snow and stare skywards for hours on end waiting for it to arrive when the season starts. You say that as if there is something wrong with it! I am the head and sole member of the Snow Saddos Association, webcam watching all year! Lordi Square in Finland, Spitzbergen in Svalbard, Iceland, Les Arcs, Jungfrau, Planai, Scottish ski resorts, basically anywhere with a webcam, especially a livecam, where snow and mountains might be - these tabs are open on my browser all year round! Lauberhorn still has a light covering of snow this morning while Edelwiesspitze is all foggy, in common with Les Arcs earlier this week where the walkers were beating their way through murk and drizzle for a morning or two. Perhaps it's time for a new job! This picture just for you Angela to get your snow fix.Taken two years ago in one of my favourire places located off the back runs from Katschberg Mountain towards the Pollatal Valley and Rot Gulden Mountain in the backround. 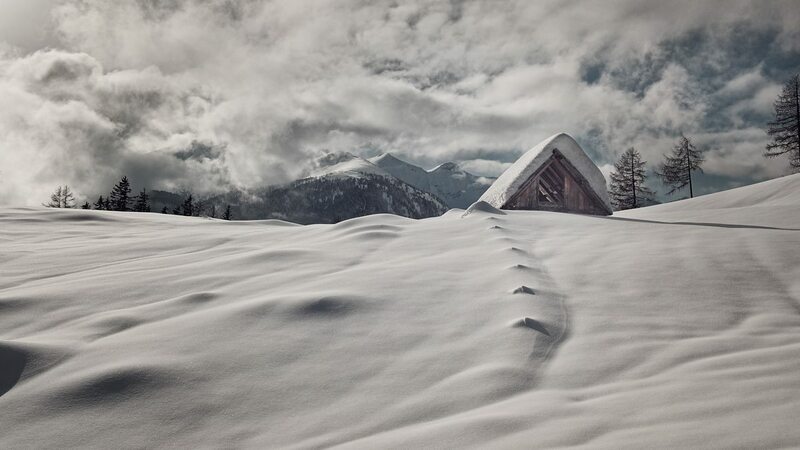 Would love to build a chalet right in this location but its preserved , pristine and eco . Its fairly easy off piste ski-ing to get there and very walkable from Katschberg or from St Peters village. Its wonderland in thick snow. Looking to get back to this region soon. The sun makes a welcome return after a spell of dull cool weather. Looks like been a lovely warm day in the Tirol. One thing I noticed on my trip to Katschberg, the number of houses and buildings totally covered in solar panels, they are so far advanced compared to the UK. I mention this as I can see one roof covered in this pic above. Yes, thats on the Hotel Wiederbergerhorn , my local. Not so many here as the village is old and of heritage status and can be only applied to new extentions or new build and planning is very strict. However, not in Katschberg, as it for the most part a purpose built ski resort and the local state Karten is very progressive in building modernisation (ie ) The hotel you stayed in and the next door Edel and Wiess cone building. I remember the Stampl Bar as all traditional wood feature , but now a ultra modern bar with all the gradgets. 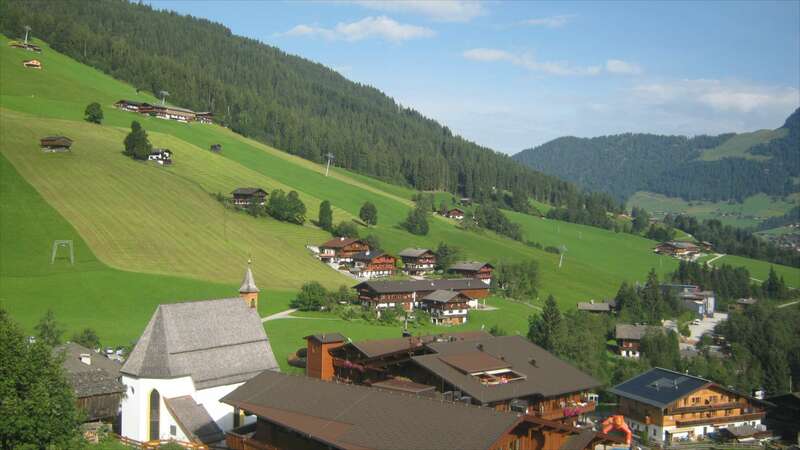 The Tirol on the other hand is very conservative and traditional and likes preservation. It was very noticeable driving up and back on the motorway to and from the airport. Many of the villages by the road in the valleys were very into it, some villages it seemed to be over 50% of the roofs, I was amazed but not just a few panels as I mentioned above the whole roof. Makes you wonder why this country is often so far behind. Nice day on the local mountain . Warm sunshine and clear blue sky. Plenty of walkers making their way to the top and also bike riders who climb the summit then bike all the way down to the village . Crazy ! Interesting article in a recent edition of 'Telegraph Ski and Snowboard' magazine giving their verdict on the best Austrian ski resorts to visit. And the intro to their Top 10 run-down is something we've discussed over in the Worldwide Mountain & Snow Sports forum, i.e. France has become rather expensive and us Brits are turning back to Austria. 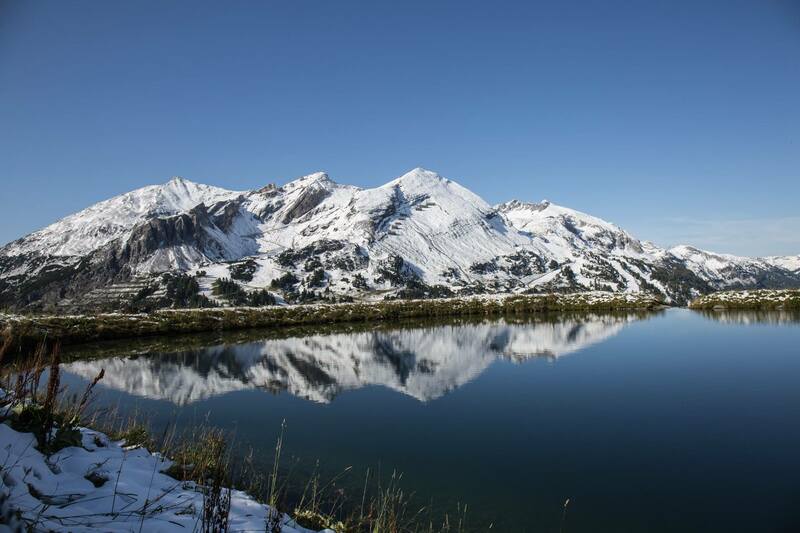 Austria now represents better value for money than the most popular resorts of the French Alps. Everything from basic holiday costs to lift passes, ski school, eating out and partying usually costs less. Moreover, the standard of service is higher in Austria, the welcome is warmer, and lift systems are no less sophisticated. Hi Malcolm, interesting top 10. Not sure my choice but everyone has a differing view. Yes, I would say Austria meets a lot of todays skiers requirements you have listed. I have noticed prices have even lowered in some Austrian resorts and certainly food and drink offers some of the best value with service included in the whole world. Canada and USA, Nordic resorts can learn a lesson for value for money offered in Austrian ski resorts. The decline in French visitors to their own resorts is a reflection of their increased seasonal costs. Without doubt Austria provides a very happy welcome to its English clientele, who in return remain very loyal. A pint of super nice local lager in my local is probabaly cheaper than some pubs in England and most mountain huts offer good ski fodder at around 10 euros. I say to many get yourself over here and enjoy this fantastic country, summer or winter as the scenery is wonderful in the moutains. Nice warm sunny start to the day with a light wind. 24c max expected today in the valley. Hotting up again over the border in Italy, already 29c in some Alpine locations at 0900hours. Well now a couple of days back from our trip to Austria and once again loved it. After two years in the Tyroll, a move further west to the Volburg (Swazenburg) was a good move as it opened up a lot more of the country to see, and also visit Switzerland, Germany and Lichtenstein. Looks like you had a wonderful holiday SalopWatcher! Can't beat the Alps in the summer - so pretty! Just as an aside - I wish your photos were bigger as it's difficult to see the best of the spectacular scenery and skies when they're so small!! 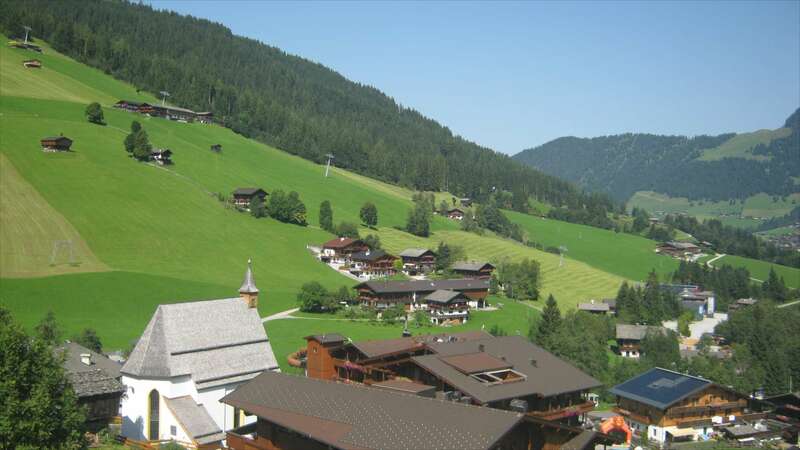 The nice summer continues in the Tirol. 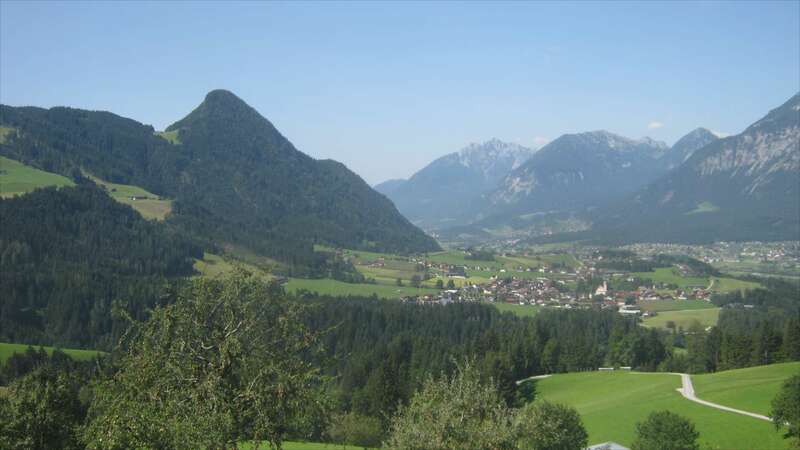 This picture taken this morning looking towards the Alpbachtal valley and the small town of Reith. A warm 25C expected here today with sunny skies now expected for the rest of August. 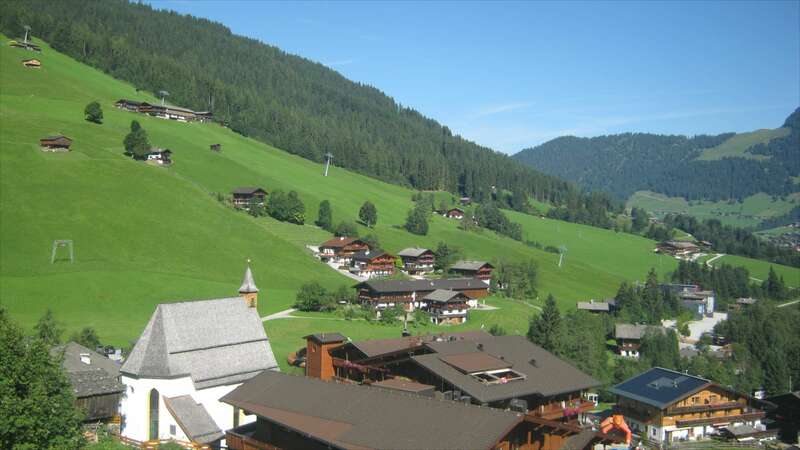 Super morning in Inner Alpbach. 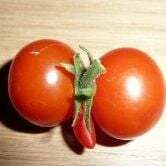 Going to be another warm one or even hot. 26C expected, even 30C in the lower valley. Already looking forward to Friday evening early doors in the beer garden ! Yes sad news John, This was from a few weeks back if anyone missed it. All survived. "The accident is believed to be the deadliest so far this season in the Austrian Alps, where several dozen mountaineers die annually." Is that a mistake in the article...that many? Surely not? The annual number of fatalities in the Alps every year is quite large I'm afraid Styx. If we just take those caused by avalanches, i.e. excluding the numbers from other incidents - such as hiking/climbing falls and heart attacks - then according to a report published in March 2016 the average number of people that die across the Alps every year (based on the last 4 decades) is around 100. The report reveals that for those of us that mainly ski on-piste (in areas known as controlled terrain), the good news is that deaths have declined significantly. But for those who like off-piste (in uncontrolled terrain), the number of deaths has been increasing. @carinthian - my apologies for drifting off topic. Morning, what a change in one week. Temp 5c with rain and cloud and feeling cold. Maybe some snow on the tops today. 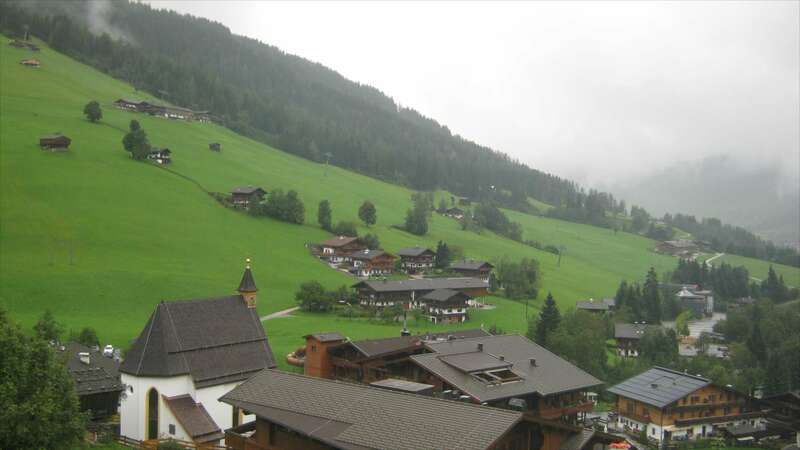 one thing I have noticed is how green it has looked all summer since you have been posting your new home, looking very typically Austrian. Hello, much greener here than Katschberg but 500m lower in altitude so much more growth. Got the heating on this morning. 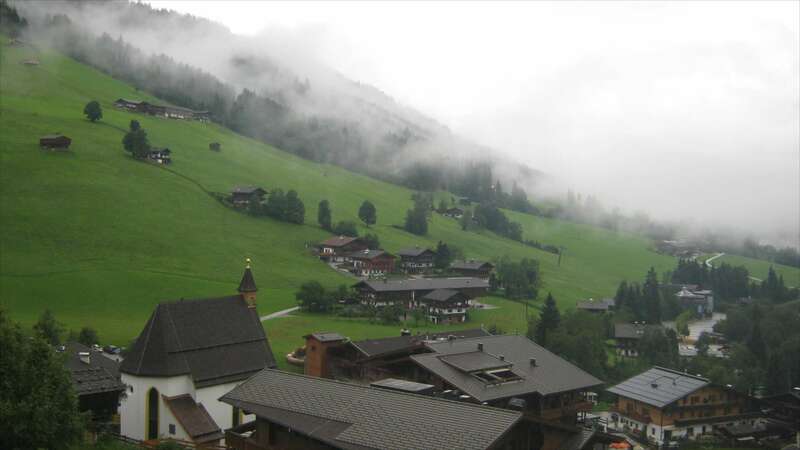 Nice shot above Obertauren this morning in the Lungau.